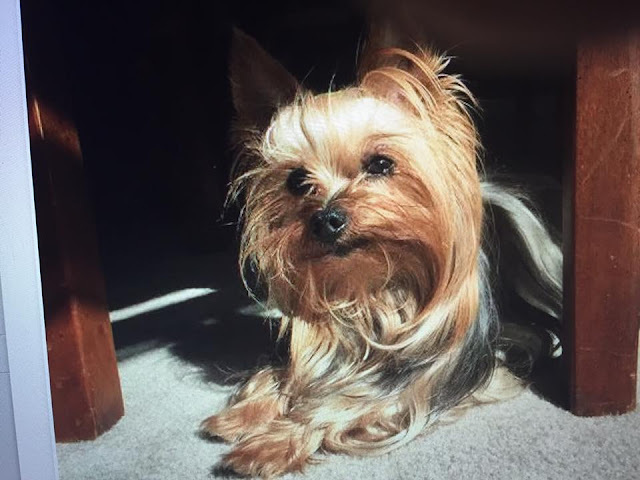 TITUSVILLE, Florida - A 6-pound, 12-year-old Yorkshire Terrier that was stolen during a break-in of a Titusville residence last week has been found and returned to the family. On May 10, the family discovered that their residence had been burglarized when they came home to find a window broken and their dog "Beanie" missing. The perpetrator(s) ransacked the home, taking jewelry, silverware, and personal items before also leaving with the dog. Beanie was found on Monday at an I-4 off-ramp in Winter Haven, Florida, about 75 miles from the burglary, the owners reported on Facebook.